THE WATCH THAT NEVER STOPS, WHEREVER YOU ARE. 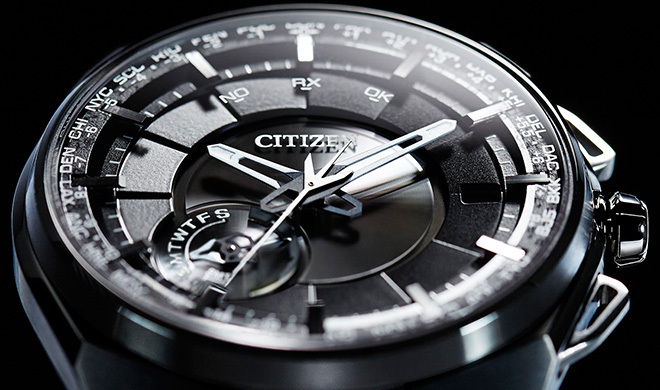 Inventing technology to ensure that a watch never stops anywhere in the world was one of the challenges for CITIZEN. In 1976, we invented the world’s first light-powered analogue quartz watch that uses only light as a power source. This technology, now known as “Eco-Drive,” can generate power from any light source, artificial, natural and even dim light to keep watches running without ever replacing batteries. As a pioneer of the field, we set new challenges for ourselves to bring forth the full potential of power generation using light. 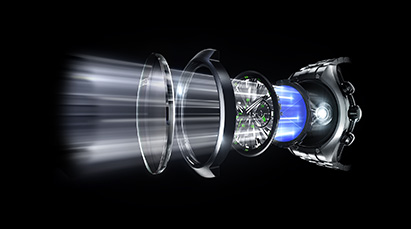 Eco-Drive is designed so that any light source, no matter how dim, will generate the energy needed to power the watch. Light itself is the only energy source required to tell the time with an Eco-Drive watch. 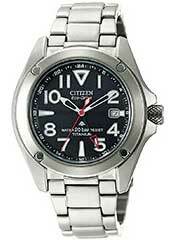 CITIZEN has always striven to innovate. When it comes to the materials we use, we take the same approach. In 1970, we launched the world’s first watch using solid titanium that is lightweight, hypoallergenic and resistant to rust. We processed solid titanium and then treated it with our proprietary surface hardening technology, Duratect, to create Super TitaniumTM. Achieving more than 5 times the hardness of stainless steel and providing better wearing comfort, Super TitaniumTMrepresents our commitment to providing people with something better. One of the factors that distinguishes CITIZEN’s Eco-Drive from other methods of keeping watches running at all times is its “power life.” Most Eco-Drive watches continue running for more than six months on a full charge, even in total darkness. Thanks to our power saving function, we make watches that can operate for up to even seven years without light. 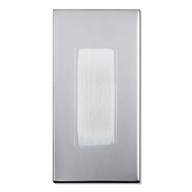 Eco-Drive efficiently converts any light, including artificial, natural and even dim light, into energy. CITIZEN has focused its development efforts on two different types of solar cells. This is the most commonly used solar cell in our watches today. It converts light into energy with high efficiency because it sits under the dial. This ring-shaped solar cell wraps around the dial and also converts light into energy efficiently. It allows more design flexibility on the dial, as the dial surface does not need to be transparent to allow light to pass through. 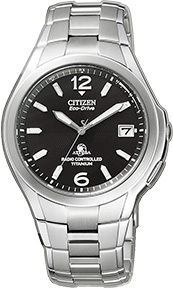 CITIZEN has dedicated itself to improving its technologies to develop power efficient watch movements. Our pursuit of innovation has allowed us to bring to the market many light-powered watches with advanced functions and designs. 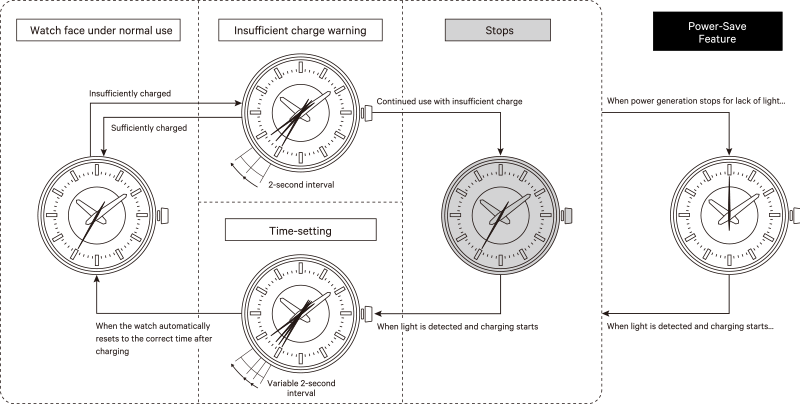 When an Eco-Drive watch with this feature has an insufficient charge, the second hand jumps in 2-second intervals. Once the battery is fully charged, the second hand returns to normal operation. When an Eco-Drive watch with this feature is left in the dark, the hands stop in order to save energy. Once light hits the watch, the hands move quickly and automatically to catch up to display the current correct time. We continue to work on enhancing semiconductor chips, circuits and motors in our watches to even further reduce the power consumption of watch movements. 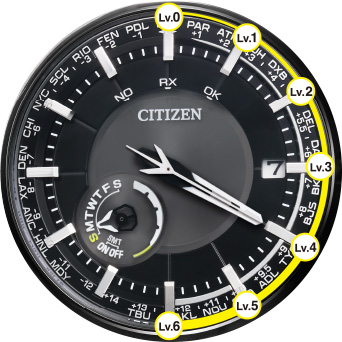 CITIZEN invented the world's first,∗ Light-Level Indicator for analogue watches. It detects the intensity of light striking the dial and displays the electricity generation level at the moment, allowing wearers to easily gauge the charge level in any given situation. ∗According to research by CITIZEN WATCH CO., LTD. Thanks to CITIZEN’s proprietary surface hardening technology, Duratect, watches made of Super TitaniumTM are incredibly resistant to everyday wear and tear. 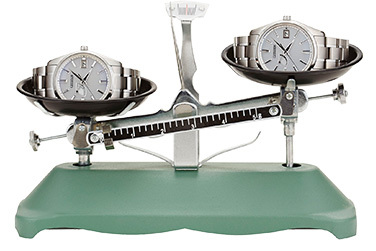 Scratch comparison test by CITIZEN WATCH CO., LTD.
Super TitaniumTM is approximately 40% lighter than Stainless Steel. It’s so light that you almost forget you’ve got a watch on at all. And it feels good on your wrist, whatever you’re doing. 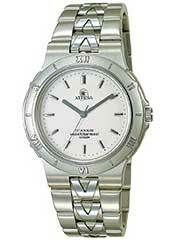 Note: Comparison of watch models with the same design, one made of Stainless Steel and the other of Super TitaniumTM. A Gentle Metal That’s Kinder on Your Skin. Super TitaniumTM reduces the risk of adverse skin reaction to metals thanks to the use of hypoallergenic solid titanium and CITIZEN’s proprietary surface hardening technology. And that’s true even for people with unusually sensitive skin. Note: Super TitaniumTM does not prevent all allergic reactions to metal. Super TitaniumTM is more resistant to corrosion even when it comes to contact with salt water. Wherever you are and whatever you do, you can rely on Super TitaniumTM to ensure your watch looks its best. ∗ The pins used for the band may tarnish. CITIZEN recommends regular cleaning. Titanium is the fourth most abundant structural metal on Earth. An incredible material that does not react to sunlight, salt water, or human body chemistry, it reduces the possibility of metal allergic reaction and is corrosion resistant. Titanium is an active metal that reacts easily with oxygen, carbon, nitrogen, and other elements. 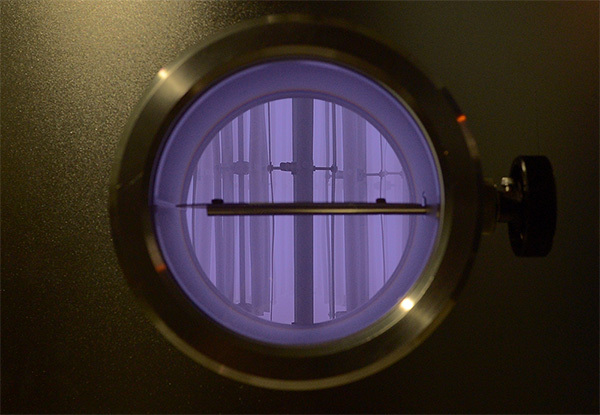 Titanium atoms have a tendency to adhere to, and fuse with the metal molds used in pressing. 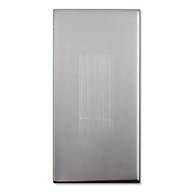 To prevent the titanium sticking to the mold and to make it easier to shape, CITIZEN altered its qualities by heating it to a high temperature before pressing. This innovation considerably reduced its resistance to shaping—and opened up numerous possibilities. Polishing is yet another hurdle when using titanium for watchmaking. Owing to slight variations in the hardness of the crystal grains that form titanium, the conventional polishing process creates surface irregularities likely to mar the sheen of a watch. At CITIZEN we combine a number of polishing techniques, including barrel and Sallaz polishing, to achieve superior surface quality for our watches made of Super TitaniumTM. CITIZEN’s proprietary technology, Duratect, was developed to harden the surface of watch materials. CITIZEN has various ways of surface harfening materials. It provies a range to surface hardness (up to more than five times the surface hardness of Stainless Steel) while at the same time, colouring the watches in silver, black, and gold, which were once thought impossible. The Vickers hardness test involves measuring the hardness value of the surface of a material by forcing a diamond indenter into it. It is very widely used, including as a basis for other hardness tests. Note that the test only measures the hardness value of the surface coating with a low load. The Vickers hardness test is not designed as a measurement to indicate scratch resistance in an everyday context. 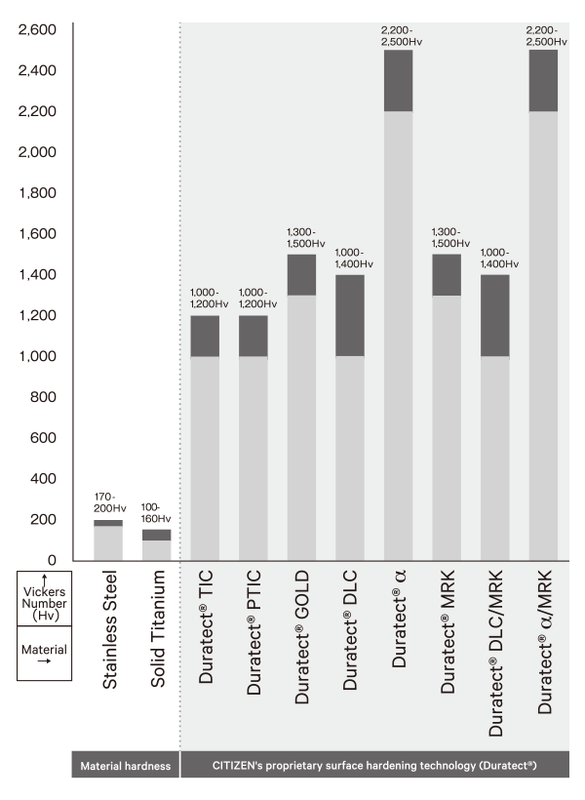 Surface Hardness and Variations in CITIZEN’s Surface Hardening Technology, Duratect. In 1970, we produced the X-8 Chronometer, the world’s first watch with a solid titanium case. The name expressed our high hopes for titanium and its infinite possibilities as a material. 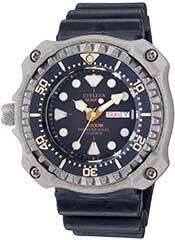 CITIZEN was impressed with titanium’s hypoallergenic properties. In fact, we made it our mission to create innovative watches that were safe and gentle on the skin, so that everyone could enjoy wearing a watch. 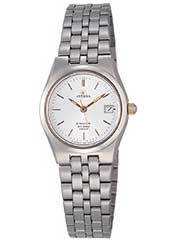 The Attesa, introduced in 1987, was an all-titanium hypoallergenic watch created in-house. 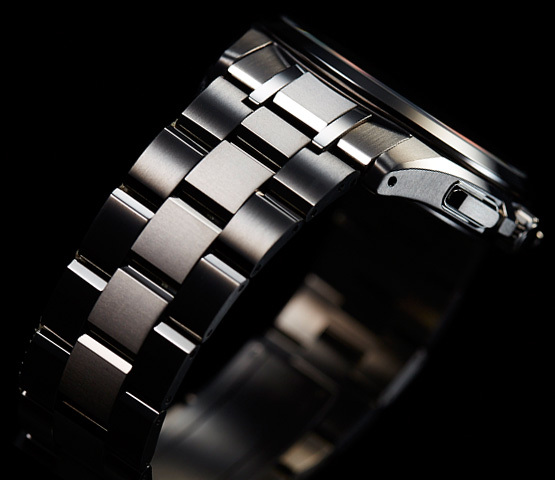 CITIZEN wanted to explore titanium’s infinite possibilities as a material for watchmaking. It was never going to be easy. But we met the challenge by creating our own titanium-processing technology, and following that up with our proprietary surface hardening technology, Duratect. The challenge goes on in line with the spirit of “Better Starts Now”, as we look forward to making future breakthroughs. Improvements in our titanium-processing technology have enabled our designers to create a wide range of great designs. Thanks to advances in our surface-hardening technology, we have also succeeded in creating models with higher resistance to scratches in a wide range of colours and with stronger hypoallergenic properties. We are on a never-ending journey to provide everyone, everywhere, with the chance to wear a beautifully designed and comfortable watch. This was the dream that first led the team at CITIZEN to develop Super TitaniumTM—and it still drives us today, as we address the challenges that come up en route to creating ever better timepieces. Note : There are models which are no longer in production or not available in some markets. Since its very beginnings, watchmakers have continually strived for the most accurate time keeping possible. In 2011, CITIZEN first invented a unique satellite timekeeping technology, “Satellite Wave”, which enables watches to receive time signals from GPS satellites and display precise time and date anywhere in the world. Combined with our Eco-Drive technology, our watches with Satellite Wave technology never require battery changes nor time setting by rotating crown. With coverage across all 40∗ of the existing UTC standard time zones∗, watches with Satellite Wave will ensure the most accurate time you will find in any conventional watch. Whether you trek through the desert, cruise the oceans or climb a snowy mountain, you never need to worry about having the right time. ∗This is a simplified time zone map. Actual time zones may differ. ∗ Some models receive time signals only. ∗ Getting position data requires a minimum of 30 seconds. Switching to daylight saving time must be done by hand. Satellite Wave technology allows your watch to adjust to a new time zone with amazing speed and ease. Receiving a time signal in as quickly as three seconds, Satellite Wave has the world’s fastest signal reception speed from GPS satellites. 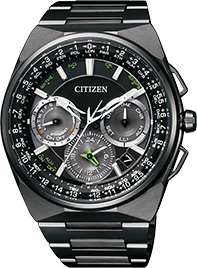 ∗ As of May 2015, for a light-powered GPS satellite-synchronised watch, according to research by CITIZEN WATCH CO., LTD.
CITIZEN’s Satellite Timekeeping System allows watches to set the correct time and date by receiving position data and time signals from GPS satellites orbiting 20,000 kilometers above the earth. 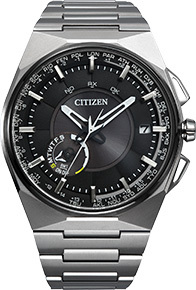 CITIZEN not only cares about accurate timekeeping , but also about watch usability. We have developed unique algorithms to make Satellite Wave the fastest*in the world when receiving data from GPS satellites, doing so in as little as three seconds. Our Satellite Timekeeping System takes only half the time to adjust compared with models we introduced in 2011 – a testimony of continuous and tireless work to improve our products. ∗ As of May 2015, as a light-powered GPS satellite-synchronised watch, according to research by CITIZEN WATCH CO., LTD.
Our efforts in this area of technology make the transition to the correct time stunningly beautiful and fast. 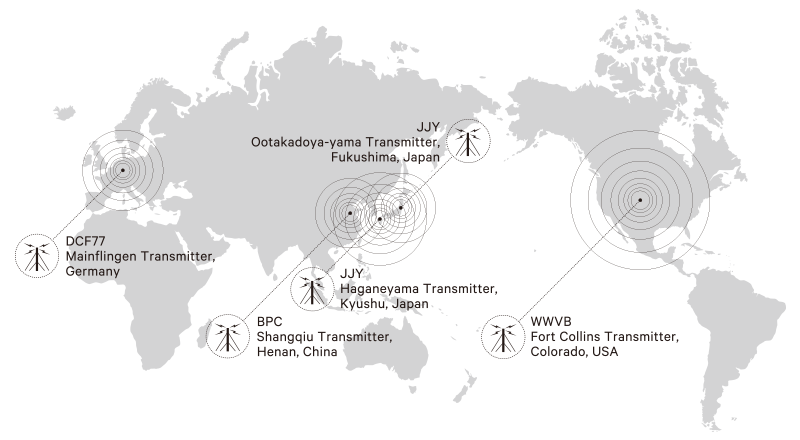 CITIZEN’s goal of providing people with the correct time, regardless of where in the world they live and work, led to the development of Satellite Wave technology. When we started, there were no GPS chips designed specifically for watches to display the correct time. Undaunted, we set about establishing our own technologies to successfully open the door to the future of watches. The Eco-Drive SATELLITE WAVE, the world’s first light-powered satellite-synchronised watch released in 2011, was the culmination of arduous efforts by CITIZEN’s engineers. It’s stylish futuristic case and dial design exemplified the fusion of the earth and outer space. For CITIZEN, genuine convenience means our customers being able to acquire and display the time information for whatever country or region they are in as fast as possible. 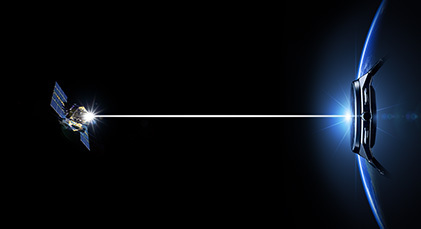 Driven by a great deal of research, the Eco-Drive SATELLITE WAVE model (2011) was able to acquire a time signal in a minimum time of six seconds. The Eco-Drive SATELLITE WAVE F100, introduced in 2014, achieved the world’s fastest satellite reception speed*—as little as three seconds. By providing each of the three hands—the hour hand, minute hand and second hand—with its own independent motor, adjusting the time became totally stress-free. 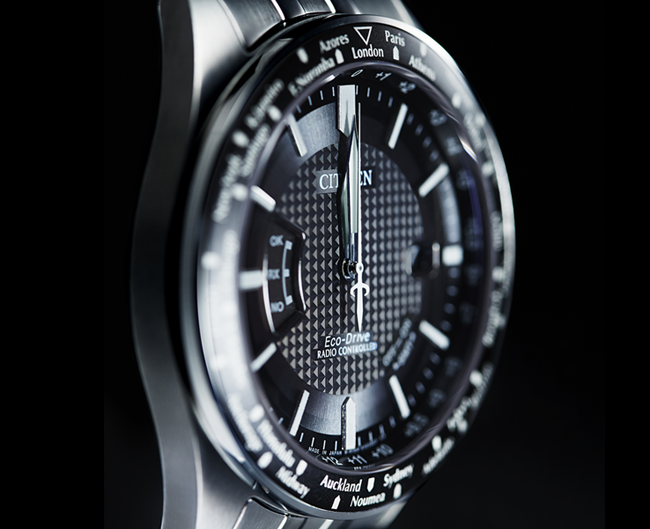 The Eco-Drive SATELLITE WAVE F100 was also the thinnest satellite-synchronised watch in the world*. ∗ As of May 2015, according to research by CITIZEN WATCH CO., LTD.
CITIZEN is always striving for faster and more precise timekeeping. Our quest never ends. Constant and Precise Timekeeping for the Superior Accuracy. 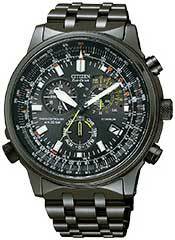 CITIZEN launched the world’s first multi-band radio-controlled watch in 1993, and remains a pioneer in this field. Combined with our proprietary light-powered Eco-Drive technology, you will get precise time powered by any light source. With a margin of error of just one second in 100,000 years, CITIZEN’s radio-controlled watches receive radio signals from an atomic clock to set the time correctly. To avoid interference with smartphones and other electronics used during daytime, CITIZEN’s radio-controlled watches receive radio signals late at night to adjust your watch to the correct time and day. A signal containing the precise time, day and date, measured by an atomic clock accurate to one second every 100,000 years, is sent directly to the watch using standard radio waves. The current geographical areas covered by this service are Japan, China, North America and Europe. Available zones indicated on the maps are based on rough calculations and do not represent exact geographical availability. Reception ranges differ depending on each watch’s function. Buildings and other obstructions, as well as adverse weather conditions can effect signal reception. 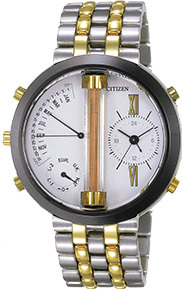 In 1989, in the never-ending quest of every maker of timepieces to ensure ultra precision, CITIZEN began development of its radio-controlled technology. We were the first Japanese watchmaker to take up this challenge, so we had to overcome numerous obstacles, from creating the equipment needed to develop the technology, to coming up with measuring instruments to evaluate reception performance using antennas placed on window sills in the lab. These efforts allowed us to achieve Japan’s first standard radio signal reception IC. 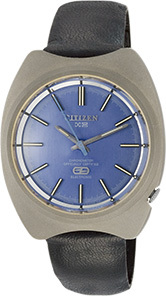 Overcoming many technological hurdles, in 1993 CITIZEN debuted the world’s first “multi-band radio-controlled watch.” The antenna, the heart of signal reception sensitivity, would be prone to interference from metal watch cases and parts, which is why we prominently placed it in the center of the dial. The result was a highly distinctive design that boldly highlighted our new technology to ensure accuracy. 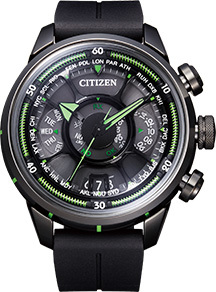 In the following years, CITIZEN’s advances would lead to watches that no longer needed to show off radio wave functionality on the outside of the watch. We worked first with resin and then ceramic cases which were a better conduit for the signal reception with the hopes of one day being able to use full metal cases. With better antenna and receiver circuits, we realized the once “impossible” full (including the back lid) metal case in 2003. This model became very popular, pushing recognition of the radio wave category. Radio-controlled watches have evolved into a core product line at CITIZEN since we offered the first model with a full metal case in 2003. We have continued our work on related technologies to realise a wide lineup of beautiful watches that keep getting smaller and thinner. Part of this work has been on making the antennas smaller without sacrificing performance. We have come a long way, but the possibilities continue to open before us.